Senate Committee Provides Response to ASBA Trip to Washington D.C.
Gergen announced, “Although the previous meeting produced a compelling message to congressmen, senators and law-makers that hold influential positions there will be some changes made to the team to add more firepower to the presentation.” He will return with more NFL superstars and the ASBA board has agreed to add Dr. Rod Willey to the team. Gergen and Alpher are strategizing right now to maximize the impact by tapping into executive director Alan Hickey’s vast knowledge of computer graphics and digital imagery. Hickey acquired the knowledge and experience during his time spent working with Disney Dreamworks. To learn more about the American Sleep and Breathing Academy visit AmericanSleepAndBreathingAcademy.com, email info@myasba.com or call 602-478-9713. The American Sleep and Breathing Academy (ASBA) is continuing to forge a pathway to better sleep nationwide. By providing advanced education to dentists and connecting them with physicians, the ASBA is able to provide potential patients with the treatment they need. 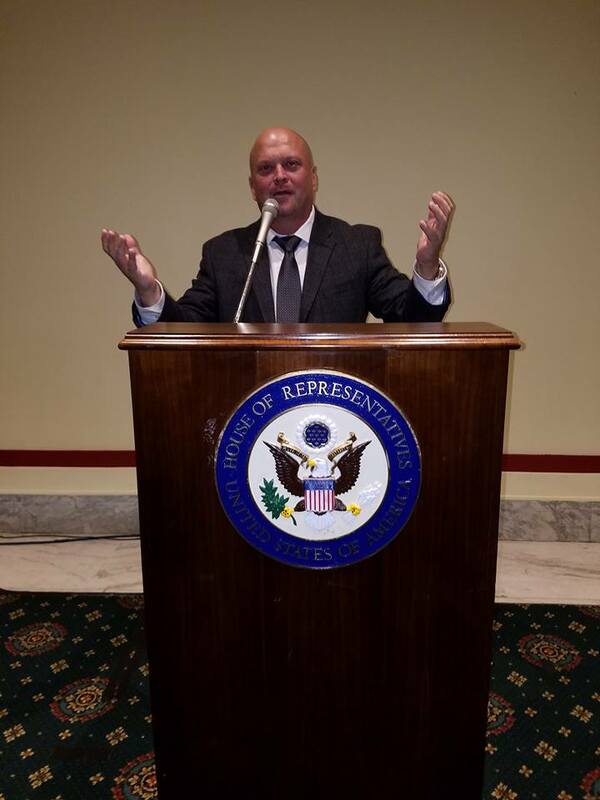 Furthermore, public outreach is a key objective of the ASBA and what better way to do it than going to the U.S. Senate and presenting to congressional members and regulators? That’s exactly what came to pass September 27, 2016. “Our objective is to make oral appliances the true benchmark for mild to moderate sleep apnea. We know big CPAP manufacturers have their lobbyists to ensure that does not happen, even though in 2006 the government said oral appliances should be a treatment option. We’re fighting every step of the way,” said David Gergen, CEO of the ASBA. 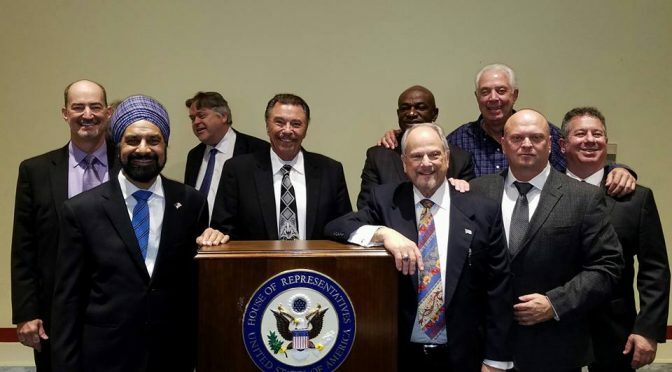 Introductions were made by Dr. Elliott Alpher in a hearing that attracted approximately 70 members of Congress and additional regulators. Dr. Alpher focused on informing them of the innovative solutions for sleep apnea such as oral appliance therapy that will help people with public safety, government spending, protection for military, and all transportation personnel. “The lawmakers want solutions and oral appliances are becoming the answer,” says Gergen. Dr. Neal Seltzer followed with a spectacular presentation. He began by saying, “David Gergen has done more for dental sleep medicine in the last two years than the entire industry combined in the last 30 years by spreading awareness of obstructive sleep apnea.” Dr. Seltzer then explained the benefits of treatment with an oral appliance and why dentists are crucial in identifying obstructive sleep apnea. Benefits over alternative treatments include low initial and long term cost to the patient and healthcare system, no replacement parts and they are travel friendly. Dr. Seltzer also brought to attention the ability to measure compliance of oral appliance therapy with a micro-recorder embedded in the appliance. With such technological advances, transportation workers now have an alternative treatment option available to them. Afterwards Dr. Richard Klein, a TMJ expert who has lectured all over the world, explained the importance in fully understanding TMD when delivering an oral appliance. Next up to the stand was David Gergen and NFL superstar Jet Stream Roy Green. Together they delivered a powerful message describing the problem with sleep apnea and former professional athletes. 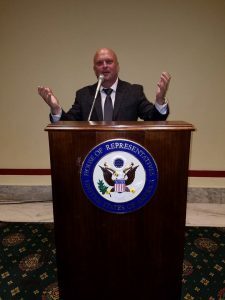 Gergen illustrated a masterpiece, describing to the caucus how he has travelled the country and spread awareness to hundreds of thousands of people; his efforts have lead to the treatment of thousands of people. After Gergen was finished speaking, Green stepped up to the stand and opened by saying, “I’m not a doctor like the people that spoke before me – David Gergen is the smartest person I know – I’m just a football player here to share my story.” Mr. Green, who personally has experienced two strokes and three heart attacks, pointed out he has not had those issues since being treated with an oral appliance and how thrilled he is to be involved with an organization dedicated to saving lives. Dr. David Singh specializes in providing natural ways for the body to improve snoring and sleep apnea in adults, as well as tooth alignment and facial appearance using novel protocols including Epigenetic orthopedics. As he presented, everyone in the room was amazed at the especially interesting solution because it actually increases the size of the airway, eliminating the need for life-long treatment with CPAP, oral appliance or surgery. The presentation ended with Dr. Kent Smith, ASBA President Elect, offering a fantastic overview of the meeting. Dr. Smith emphasized how dangerous sleep apnea is in multiple aspects of life stating mind blowing statistics about the millions of sleep apnea related deaths/injuries in vehicular crashes each year. 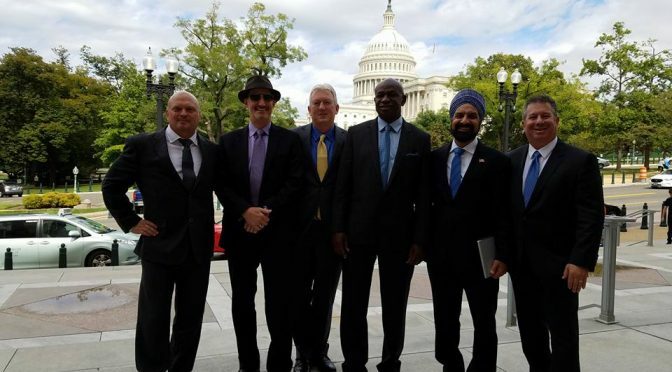 Overall, the American Sleep and Breathing Academy’s trip to Washington D.C. produced a compelling message to congressmen, senators and rule-makers that hold influential positions. The presentations were more than well received and are sure to help dentists and patients alike across the country. The ASBA is in the process of scheduling another hearing that will be announced soon. To learn more about the American Sleep and Breathing Academy visit AmericanSleepAndBreathingAcademy.com, email info@myasba.com or call 602-478-9713. The post Depression with Insomnia May Worsen Cognitive Impairment appeared first on Sleep Diagnosis and Therapy. The post Commonwealth Fund Ranks US Health Care #11 Out of 11 appeared first on Sleep Diagnosis and Therapy. The post CPAP and Better Blood Pressure Connection Bolstered in Latest Study appeared first on Sleep Diagnosis and Therapy. The post AHI is Not the Whole Story appeared first on Sleep Diagnosis and Therapy.